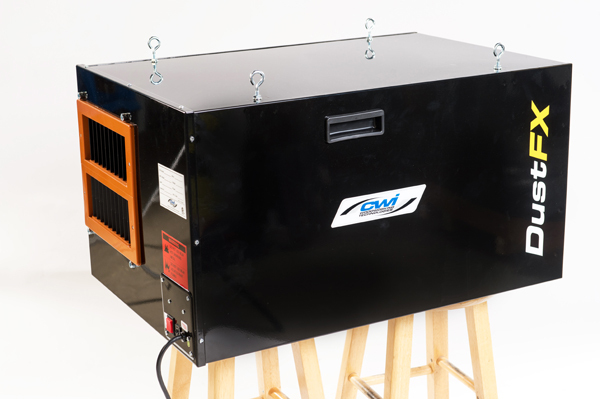 The CWI-DAC1400 is a 1400 cfm air cleaning system built to assist in keeping the workshop clean of very small floating dust particles. It features a two stage filtering process that cleans 98% of the 5 micron dust particles and 85% of the 1 micron. The woodworking shop has many sources for creating dust. Even with high quality dust collection equipment connected at the source of larger machinery it is nearly impossible to get all the dust. Especially when you factor in hand power tools like sanders and routers but even hand sanding creates airborne dust particles. 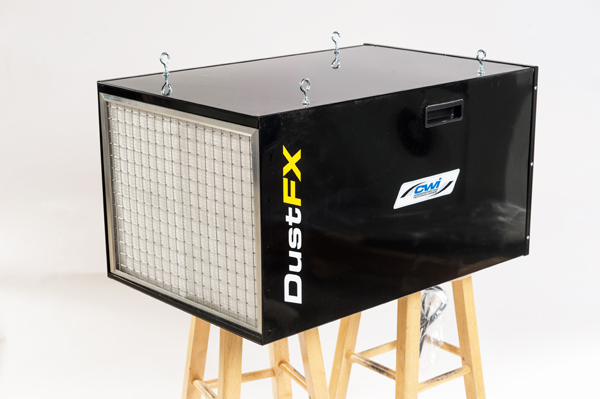 The DAC1400 is designed to sit on a bench or hang from the ceiling to effectively pull in all the airborne dust particles and then exhausting out clean air. It will operate at three different speed levels depending on demand required and will clean an average 20′ x 20′ shop 16 times per hour. 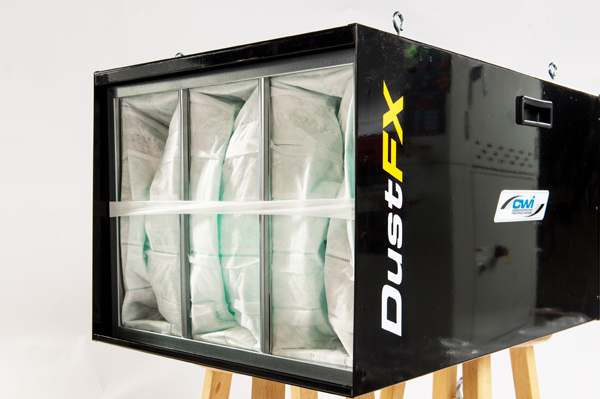 This not only prevents dust from traveling to other parts of the home when a basement shop is used but also keep the area clean for users to be dust free while performing other tasks like finishing projects. 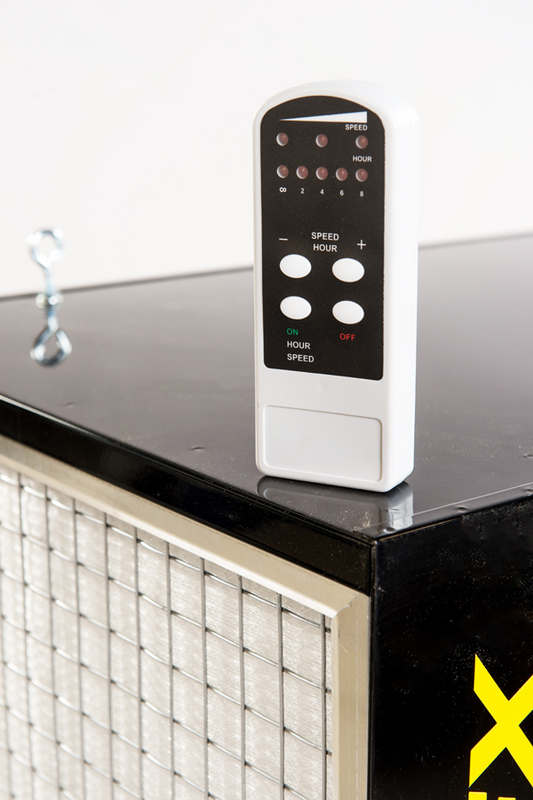 Excellent features of the DAC1400 include remote control for start/stop as well as a timer for 2 to 8 hour settings. Simply set the timer to run while you are out for lunch and come back to a perfectly clean air shop. Also included is a washable electrostatic primary filter. Noise level even if you are still in the shop is a very quiet 63db. 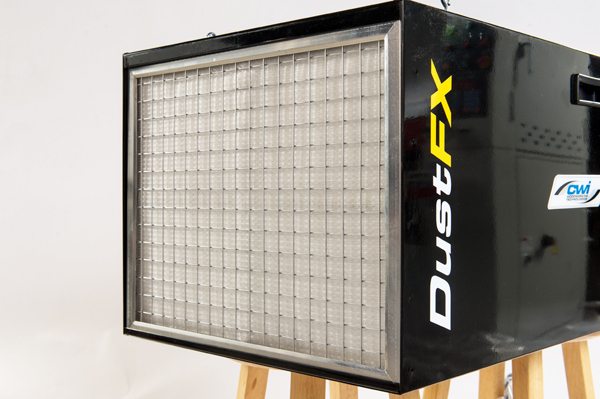 DustFX not only talks about their quality and advanced performance they also back it up with a five year home use warranty and two year commercial warranty period.